It is the largest neo-Romanesque church in Canton Fribourg. 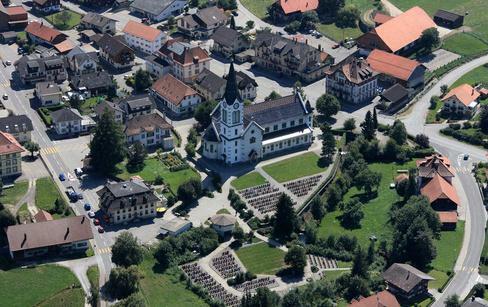 In May 1906 almost the entire village of Plaffeien was destroyed by fire. The Catholic parish church was rebuilt and inaugurated in 1910.